One of the things I was really looking forward to on this trip, was walking around, camera in hand, taking photos of the neon lights of the Las Vegas Strip. 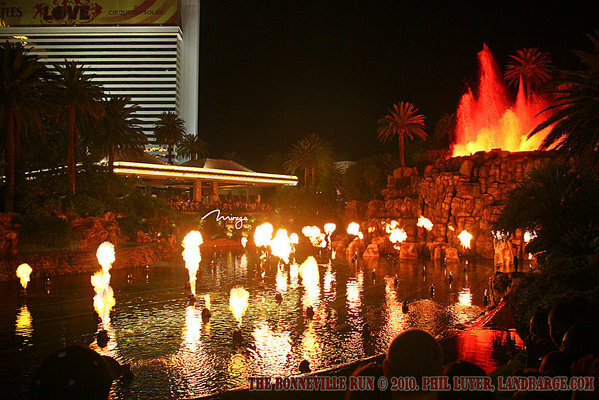 The lights of Vegas are known world wide, and many of the sights are recognisable from movie appearances. We spent a fair bit of time walking around various parts of Las Vegas, but mainly the "new" strip, with our hotel, the Bellagio, being located at the centre of the new strip. We also drove out to the "old" Las Vegas Strip, now known as the Fremont Street Experience, and home to many retired (and now restored) neon signs from Vegas' history, but we'll get to those in a later post. While I have no problem sitting down with a tripod and a timer to take photos, that was not something I wanted to do in Las Vegas, not only do I hate wielding a tripod in a crowd, but it's also not that vital when you have as much light as Vegas does. I ended up running higher, but not high, ISO's of around 640 to 800 ISO for most of these shots, with speeds around the 1/6 to 1/30 of a second being the most common, although some lights required that I shorten the exposure to 1/80th of a second or so. The Canon 1D Mk III's high ISO performance helped out a bit, as I was more comfortable running higher ISO's without being too concerned about graining, while Canon's Image Stabilisation on the 24-105 f/4.0L seemed to help out a lot by allowing me to run much slower speeds than I would normally be comfortable with. The other reason I didn't want to be lugging a tripod around in Las Vegas was because I came to Vegas with every intention of sampling some of the various drinks that are available on the strip, while walking up and down it and taking photos. This is something you could never do at home, and while street drinking is technically illegal the whole length of the strip, it's something that is never enforced in Las Vegas, unless you're doing something else wrong and the cops need something to charge you with. As a side note, the law in Nevada specifically permits public drunkenness and forbids local counties from changing that. As a result, you'll notice as you walk along the strip, that almost half the people you see are carrying drinks. 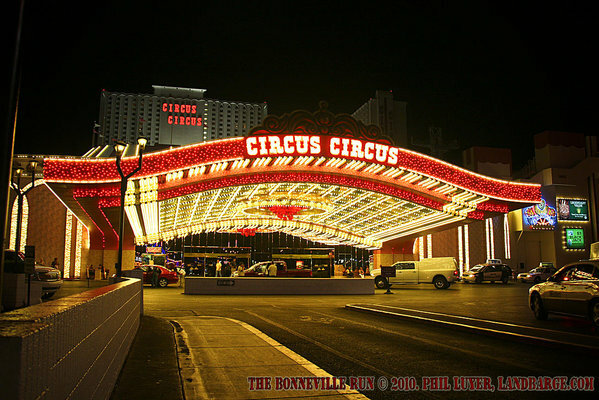 You can even buy a drink, or have your souvenir half yard glass refilled right on the strip.